Monday night saw Louisville completely dominate Connecticut in the second half during an 80-59 victory, and while the major focus was on the Huskies’ sorry effort, the Cardinals deserve credit for another impressive win after a horrible start to conference play. Monday’s victory was the team’s fifth straight, all of which have come by nine or more points. Louisville was clearly overrated when they were ranked in the top 10 during an undefeated start in December, but Rick Pitino’s team is starting to come around and establish themselves as one of the more talented teams in this year’s muddled Big East. Plenty of difficult matchups remain on the schedule, but the talks of the ‘Ville being on the NCAA Tournament bubble are long gone, and this team is looking to peak at the most important time of the season. Back on December 23, Louisville had finished its non-conference schedule without a loss and was then ranked #4 in the AP Poll, but quickly crashed down to Earth once the competition ramped up. The team lost five of its next seven games, including home defeats to Notre Dame and Georgetown, and it was unclear if the Cardinals were even a top 10 team in their conference, much less the entire country. But collective intensity and defensive effort was never an issue during that midseason slump, and the Cards are now gaining confidence offensively that could make them a sneaky dangerous team down the stretch. There are no Top 25 matchups or truly ‘great’ games on tonight’s schedule, but it is another packed Wednesday of important conference battles so there will be plenty of action worth monitoring. In what would have been billed as a big-time matchup at the beginning of the season, this game now features two unranked teams (Louisville is still #25 in one poll) with a combined 6-9 record in the Big East. But this will still be a fun game to watch, and the away team is playing its best basketball of the season. Nova has won two straight games and lost by only four points at Cincinnati in the game before, as Maalik Wayns has finally taken his game to the next level. His averages over the past three games are an insane 30.7 points, 6.7 rebounds, and 5.3 assists per game. He’s also gone 30-33 from the free throw line in that stretch. He’s second in the conference in scoring (18.7 PPG) and leads the Big East in free throws made. Nova needs other players to be strong with the ball against Louisville’s high-pressure defense, as the Wildcats average a terrible 17 turnovers in conference games, worst in the Big East. If Jay Wright’s team can take care of the ball and get to the rim instead of settling for outside shots, they have a chance in this game. Jayvaughn Pinkston will play a key role as an emerging threat (18 points, 11.5 rebounds in his last two) at the forward position that can attack the rim. 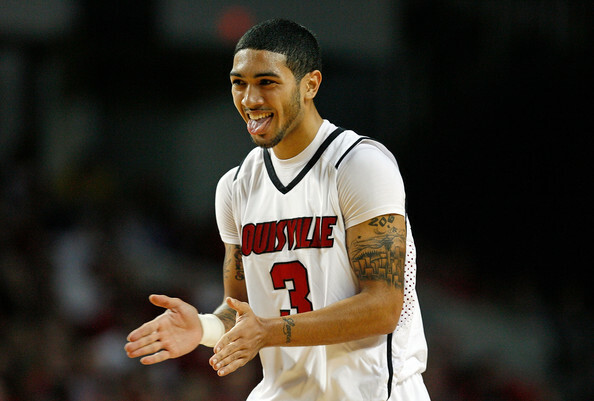 If Louisville wants to get back into consideration as a ranked team, they must win this game at home. The Cardinals continue to deal with injuries but have all of their key cogs healthy in this one, as leading-scorer Kyle Kuric (13.4 PPG) returned from an ankle injury to score 21 points against Pittsburgh in their last game. Louisville has the advantage on the wings with Kuric, Russ Smith (12.5 PPG), and Chris Smith (10.1 PPG) and they will try to swarm Villanova defensively, who only has one true ballhandler in its lineup. Peyton Siva and Gorgui Dieng have tough matchups with Maalik Wayns and Mouphtaou Yarou, respectively, that are worth watching to see who has the edge on the perimeter and in the paint. 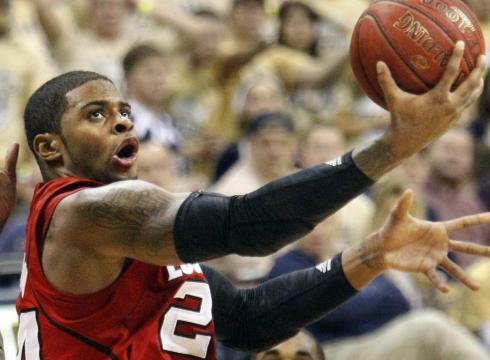 Overall, Louisville’s depth and defensive pressure should prove too much for the Wildcats. 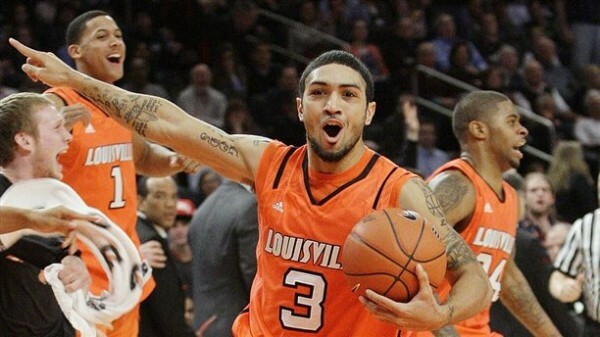 Louisville is a nine-point favorite at home in the KFC Yum! Center and cannot lose this game if it wants to be taken seriously in the Big East. The 10-10 Wildcats come in with some confidence and will look to play the role of spoiler as Wayns tries to prove he’s the best point guard in the conference. Expect the Cardinals to wear out Villlanova in the second half and come out with the win. On Wednesday night, a couple of previously undefeated teams took their first losses of the season as conference play began. For Indiana, it was a reminder of how tough conference play is on the road, and a loss was expected by the Hoosiers as an underdog at Michigan State. But for Louisville, at home in the KFC Yum! Center, its loss was a confirmation of this team’s weaknesses that may prevent the Cardinals from becoming an elite team this season. Rick Pitino’s squad ran into their first disciplined opponent that held strong for 40 minutes, and it resulted in a solid Georgetown win. Louisville, who had escaped from several near-losses earlier in the season, was finally exposed on the offensive end by a team that could take advantage of its weaknesses there. The Cards shot just 42% for the game and must improve their shooting if they want to seriously challenge for a Big East title. Louisville walked away unscathed in its non-conference games, but a closer look at the team’s play through 12 games led many analysts to consider them overrated. Though 12-0 on the season heading into this week and ranked #4 in the AP poll, our RTC voters were not buying into the Cardinals as a true top-5 team, ranking them 10th in the latest RTC Top 25. Wednesday’s home loss confirmed our pollsters’ beliefs, and the Cardinals are next headed to Rupp Arena on Saturday for a meeting with No. 3 Kentucky. By the time next week’s AP poll comes out, Rick Pitino’s team might be lucky to stay in the top 10.